I'm not over exaggerating when I'm saying that, as of now, it's the king of concealers for me. And so my affair with MAC products continues. It all started with their lip products and now I'm onto their concealer! Kind of mad that it took me so long talking myself into testing it, because now this little bottle for me is gold! Feel like I've won some sort of lottery! I've also started using the Eisenberg's Soin Sublimateur eye cream and I'm rreeallly hoping that this pair are going to be soulmates and make my under eyes tad bit lighter and less blue. The thing about this concealer that makes it stand out for me is that once I apply it, it stays there, it doesn't budge. The ones I've tried before always doodled away by noon. And with the texture that it has I don't even need to powder it (did that with the wrong powder once and it was a mess couple of hours later). Though be warned, that if your very pigmented, mostly dark, sparkly toned, eye shadow falls on the area where you applied the concealer before, you'll need some patience to get it off not rubbing a hole in your face. I mean it when I say it doesn't budge. Also the coverage! The first time I tried it I was shocked, because with only one pump I could cover my under eyes and some spots here and there, around the nose etc. And I didn't need to load it on and on. Obviously with my kind of blue gals under my eyes you can see them from certain angles, but it still manages to make me look fresh and awake. Ever since I got it I've been using only this concealer. I even had a mini panic attack one morning when I couldn't find it. It all ended well, put it on a pedestal, where it belongs. I think that now I have to give in and buy the foundation as well. But there are so many. What is your favorite of all of them? I hear that the face & body one is good. 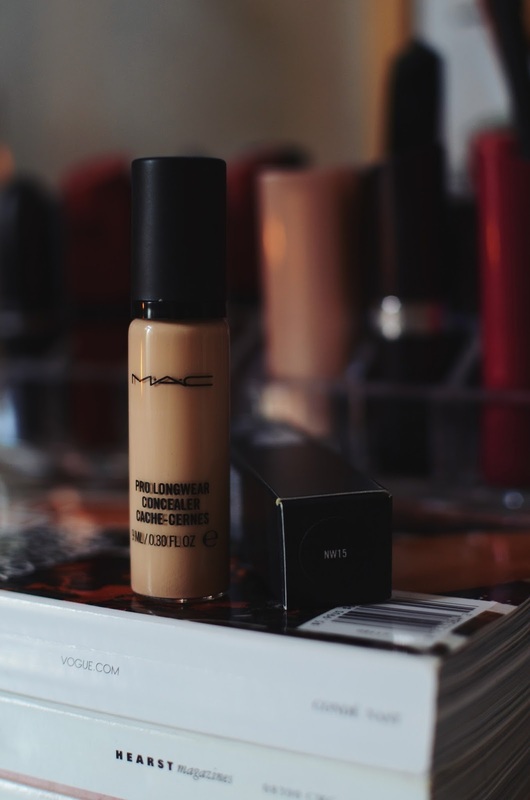 What about this concealer? Have you tried it? How you like it? 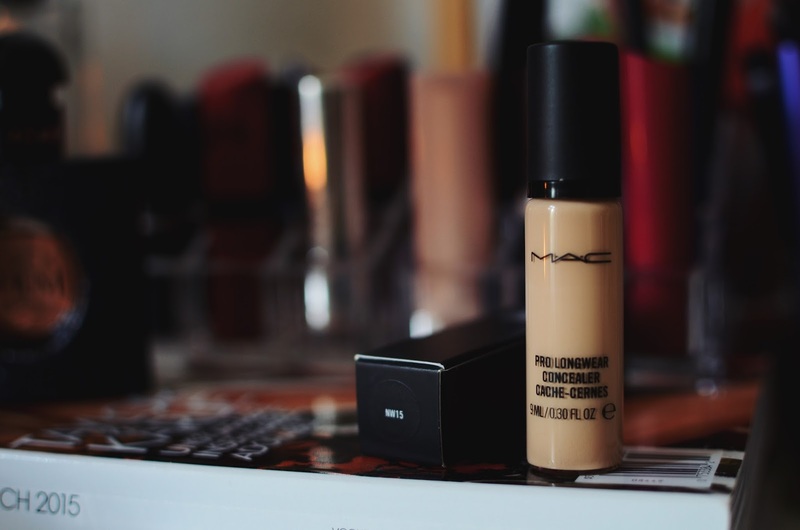 8 comments on "CONCEAL AWAY WITH MAC "
Rokas bagāžā nevarēja stikla pudelītes? Man šis kaut kā nav iedzīvojies.. Varbūt pie vainas tas, ka viņš tik traki ātri nožūst, ka es nepaspēju kārtīgi izlīdzināt. Līdzīgs, bet mazliet vieglāk operējams ir MUFE Full Cover, arīdzan ļoti noturīgs.